The original bushings in my SuperLift springs were seized up, and the sleeve was rusted to the bolt. These replacements slipped right in, and have added a lot of flexibility to the front springs. 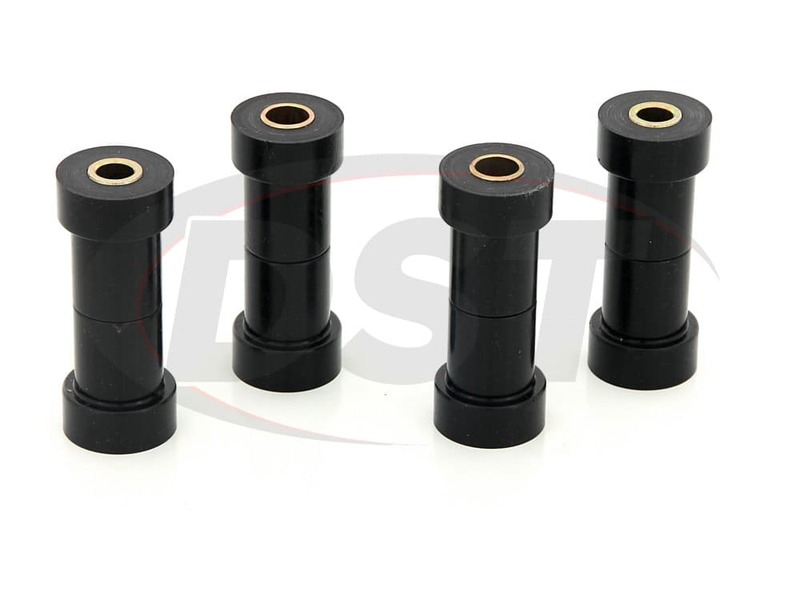 I received my energy suspension front leaf spring bushing kit last week and was very pleased with the quality of the product and ease of installation as most energy suspension kits are. It was very self explanatory was very happy that energy suspension came out with a black urethane kit for these Skyjacker springs. I did have one problem with the front steel sleeves in the bushings were too small for my 1978 GMC K35 the front bolts are 9/16" and I believe the sleeves provided were 1/2". I had some extras in my shop that I used instead so no problem. I think they were all 9/16" up front on the 1973-80 GM fullsize trucks, not sure though might want to check into that or send both sizes with kit. 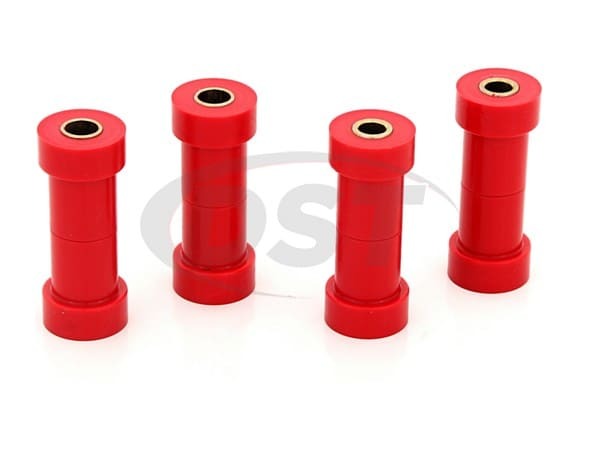 I have enclosed pics of the bushings going on the springs and springs installed in truck. Truck rides very nice down the road and will definitely be buying another set of these in the near future. Quik delivery,Delivered what was ordered,installed well.